What information, exactly, does the City of Philadelphia share with federal immigration authorities? The public may soon have an answer. Judge Abbe F. Fletman of the Philadelphia Court of Common Pleas yesterday ordered the District Attorney’s Office to release an agreement it has with Immigration and Customs Enforcement. Last spring, The Declaration made a request under Pennsylvania’s Right to Know Law for the bylaws of the Preliminary Arraignment Reporting System, a database that shares arrest information between the Philly courts, police and prosecutors. We also requested the current agreement allowing ICE agents to access the data in PARS. The federal government can use that data to initiate immigration proceedings against undocumented immigrants in City custody. In 2010, then-Mayor Michael Nutter barred federal authorities from seeing the names of victims and witnesses in PARS, and activists have periodically called for a complete termination of immigration agents’ access several times since. However, the public has not seen the terms of the most recent agreement allowing ICE access. As a result, the public is in the dark about what data the City of Philadelphia, a purported “sanctuary city,” is providing to immigration authorities. In response to our request, the District Attorney’s Office under Seth Williams and under Interim DA Kelley Hodge insisted that it did not have copies of its own contract and that only the Philadelphia courts could provide copies. Coincidentally, the Right to Know Law only applies to court records if they involve financial transactions, and the Philadelphia’s court administrator denied our request on the basis that the PARS records were not financial, though we disagree with that decision. The state Office of Open Records found that the DA was legally required to obtain a copy of a contract it had signed and release it to the public, but the DA appealed that ruling to the Court of Common Pleas. Judge Fletman rejected all of the District Attorney’s contentions, noting that she found it “hard to conceive why the DAO would not want a copy” of its own contract and that the Right to Know Law prohibits agencies from hiding documents with third parties. The Court also ruled that the DA’s refusal to seek a copy of its own contract from the court administrator “raises questions about whether it has avoided asking… to frustrate the purposes” of the Right to Know Law. “The DAO may have put the documents in the hands of a third party to avoid exposing them to sunlight,” Judge Fletman found. 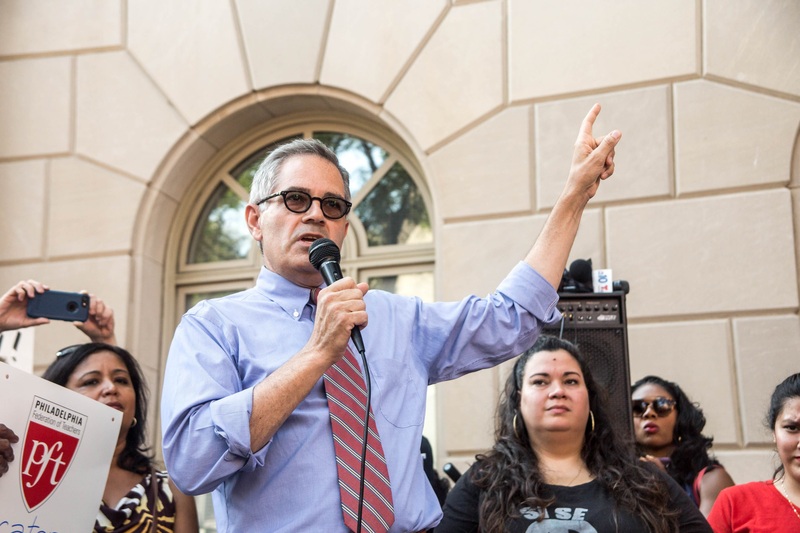 After the District Attorney Office appealed to court, but before Judge Fletman ruled, former defense attorney Larry Krasner was sworn into office as the new District Attorney. It’s now on Krasner to show that he is serious about increasing the sunlight on his office, in contrast to his predecessors.